Your inner history buff will appreciate Old Melbourne Gaol and Old Safety Deposit Building. 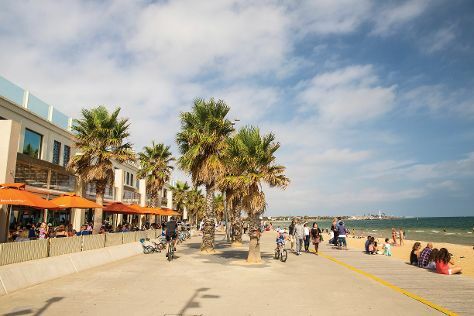 You'll visit kid-friendly attractions like St. Kilda Beach and Eureka Skydeck 88. Spend the 22nd (Fri) wandering through the wild on a nature and wildlife tour. There's still lots to do: take in nature's colorful creations at Royal Botanic Gardens, brush up on your military savvy at Shrine of Remembrance, examine the collection at HMAS Castlemaine, and steep yourself in history at Cooks' Cottage. For where to stay, ratings, and other tourist information, go to the Melbourne day trip planning site . Sydney to Melbourne is an approximately 3.5-hour flight. You can also do a combination of flight and shuttle; or drive. Expect slightly colder evenings in Melbourne when traveling from Sydney in February, with lows around 16°C. Finish your sightseeing early on the 23rd (Sat) to allow enough time to drive to Cowes. Kick off your visit on the 24th (Sun): head off the coast to Koala Conservation Centre, then look for all kinds of wild species at Phillip Island Wildlife Park, and then enjoy the sand and surf at Cowes Beach. For photos, other places to visit, and more tourist information, read Cowes trip itinerary maker tool . Getting from Melbourne to Cowes by car takes about 2 hours. Other options: take a bus; or do a combination of train and taxi. In February, plan for daily highs up to 30°C, and evening lows to 17°C. Wrap up your sightseeing on the 24th (Sun) early enough to drive to Ballarat. 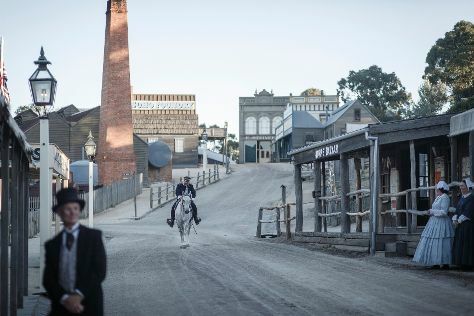 On the 25th (Mon), admire the natural beauty at Ballarat Botanical Gardens and then take an in-depth tour of Sovereign Hill. To find traveler tips, maps, reviews, and tourist information, read our Ballarat trip itinerary planner. Getting from Cowes to Ballarat by car takes about 3 hours. Other options: do a combination of bus and train; or do a combination of taxi and train. In February, plan for daily highs up to 30°C, and evening lows to 17°C. Wrap up your sightseeing on the 25th (Mon) to allow time to travel back home.